The other night, one of my fellow Toastmaster members asked for input from me as research for a speech he was developing. His topic was "Community Service" and he asked me to describe the one big contribution to my "community" I have made. 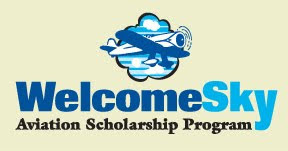 In about 2003, I developed the Welcome Sky Aviation Scholarship Program at the flying club I belonged to back in Fresno, the Central Valley Aviation Association. It was my program 100%, and I developed it without modeling it after any existing program. It worked as if we had hired Robin Hood as our front man so we could accept cash donations from current pilots that were financially comfortable, and pool that money to pay for flight training for the best and brightest 18-24 year-old pilot wannabes we could find. The main idea was to generate new pilots to replace the old guys who would lose their FAA medical cards and have to stop flying. To determine who got the money, applicants submitted a minimum 1,200 word essay to a panel of judges that described how strong their desire was to learn to fly, and what they wanted to do with a flying career once they earned their pilot's license. I demanded they write this long essay because I feel that being a good writer is key to success in any endeavor, and anyone who never bothered to learn to write correctly was not the pilot candidate we wanted to give scholarship money to. What we got was unbelievable submissions from kids that were eloquent in their essays, and from these essays, we judges could easily see which candidates were real aviators, and which ones just liked planes because they were cool. The judges independently scored the essays, and a winner was chosen each time we had enough money raised to pay for a full-ride scholarship to pay for private pilot training, about $5,000 at the time. One of her interests was sports, particularly softball. She attended a high school that was generally under the approach end to Fresno Chandler Downtown Airport's runway 30. She explained in her essay that while she was a pretty decent ball player, her coaches were always on her because as a fielder, she would lose herself in her dream to fly each time a GA plane slid by overhead on final approach to FCH. She said it was hard to concentrate on softball as she looked skyward staring at the plane, and each time this happened, she knew she had to learn to fly. This, my friends, proved she was one of us. So how did Welcome Sky do? 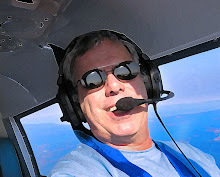 We had one full scholarship donated by Mazzei Flying Service at FAT, and we raised enough cash to train two other kids, so in all we produced three licensed private pilots. The program fizzled out after I escaped Fresno and headed to paradise where I currently reside, but by no means is Welcome Sky gone forever. The success we had with this program proved its worth, and I believe a similar program could be developed on a nationwide level to generate hundreds if not thousands of new, young pilots. The only thing that stands in my way of taking this program national is time, which I have little extra of these days. 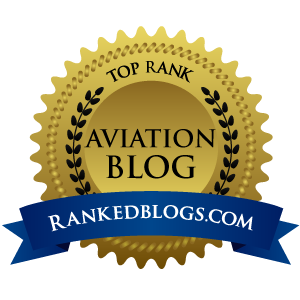 But should I somehow retire one day – which I hope is sooner rather than later – you can just about bet I will resurrect the Welcome Sky Aviation Scholarship Program. With a help of teams of fund raisers and judges across the land, we could create a crop of fresh faces that will be aviation consumers for decades. That, my friends, would be a great thing, and I can personally guarantee that elation is a very weak word to describe the feeling we program organizers feel when one of these kids earns their private ticket. So take this to the bank: Welcome Sky WILL return one day, all I have to do is retire first. But don't hold your breath on that happening tomorrow...not in this economy.